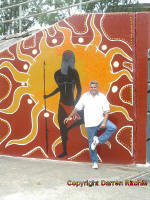 he comes from Sydney in Australia. 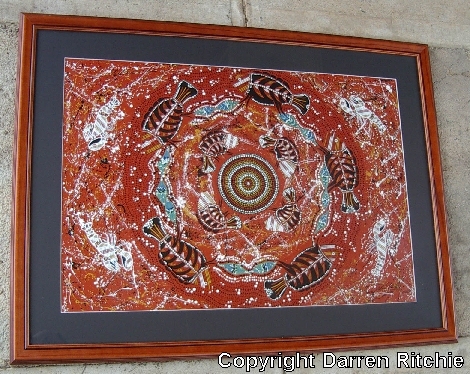 Darren Ritchie is a Sydney artist. 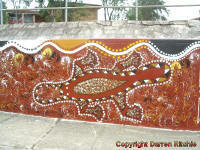 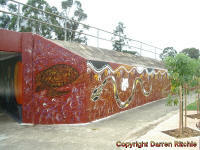 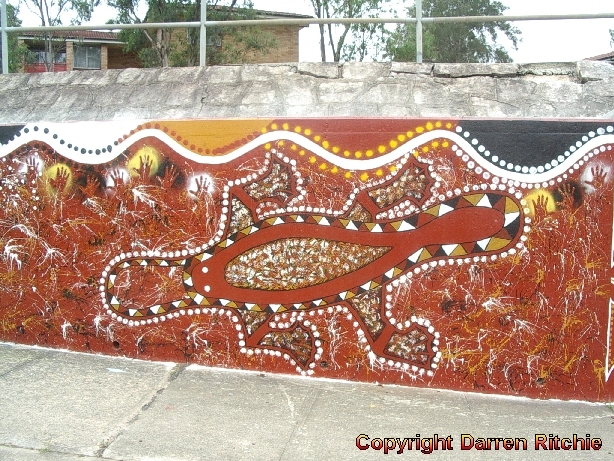 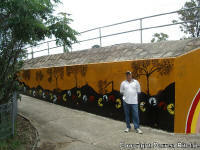 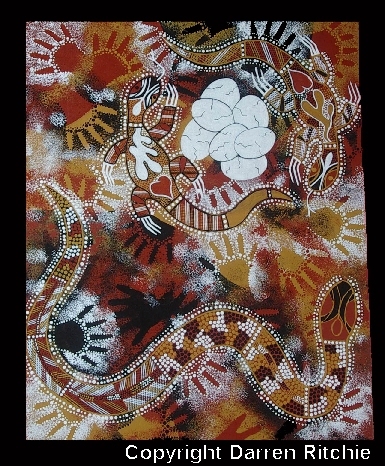 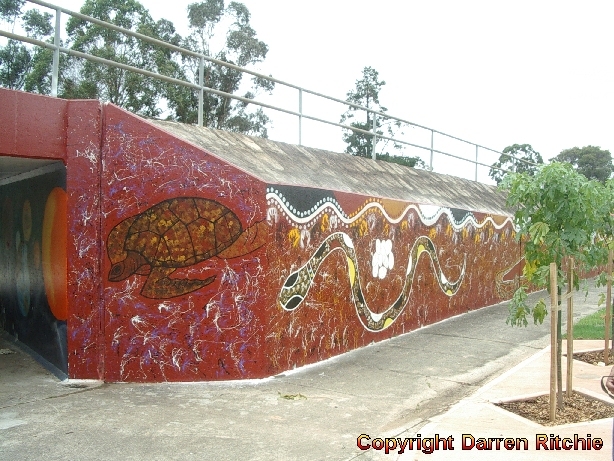 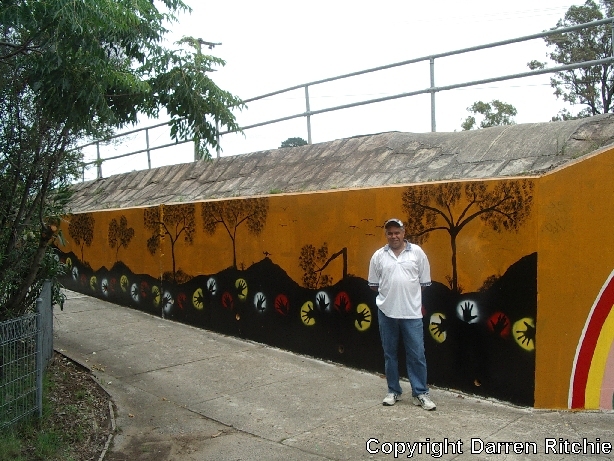 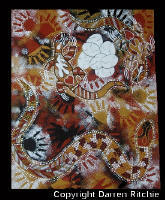 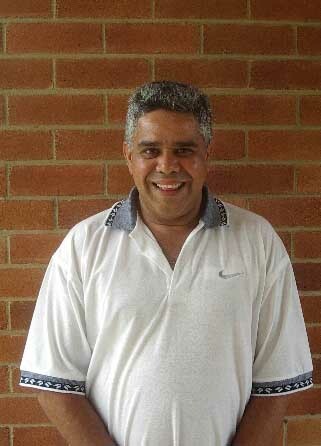 He works on all sorts of things: canvas, didgeridoo, boomerang, he even painted a bridge ! 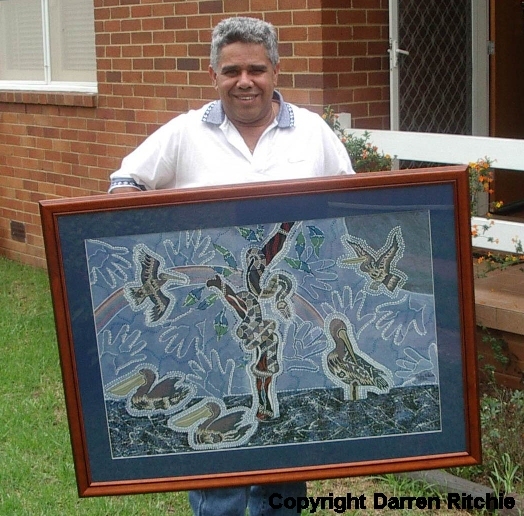 Could have been the platypus of the Kookaburra Game. 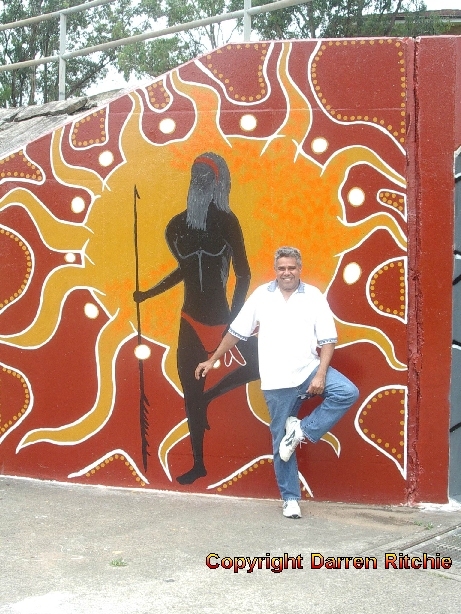 But it's not !